Many people choose to live in a Sanctuary Retirement Living scheme, as it gives them reassurance and security for their future as well as an independent, happy and fulfilling retirement. At Sanctuary Retirement Living, we provide apartments in what are sometimes called extra care schemes, or assisted living. 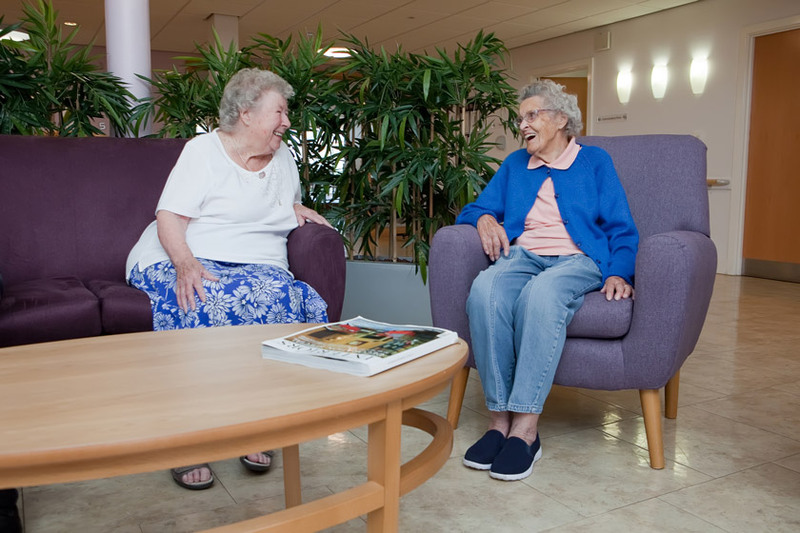 Extra care housing enables older people (or people with long-term care needs) to live independently, with total privacy and security in their own spacious and modern apartment, with the reassurance that there is a team of care professionals onsite 24-hours a day. How is retirement living or extra care different from other types of housing? You may rent as a tenant, and there are a variety of different tenancy types available. Alternatively, you may part-own as a leaseholder. You may rent as a tenant, with an assured tenancy, which means that it is your home and staff access is restricted. Alternatively, you may part-own or fully own as a leaseholder. You are a licensee, not a tenant or a leaseholder. Staff have unrestricted access to your room as needed. You have your own self-contained apartment. You have your own self-contained one or two-bedroom apartment. You have your own bedroom, which may have an en-suite toilet or bathroom. There is a scheme manager, or warden, who is responsible for the management of the building, but they may not be based onsite. Staff are based onsite and someone is on call 24 hours a day. Many services have a manned Reception during the week. Staff are onsite 24 hours a day, to provide personal or nursing care. Many services have a manned Reception during the week. You do not have to have a care or support need, but there is no care team onsite, so any care, support or domestic services you require must be managed by your choice of external agency. Some schemes require you to have a care and support need to be eligible, but others are open to people who are just planning for the future. There is a care and support team based onsite 24 hours a day. There is the flexibility to provide more care, support and domestic services if your needs change. Staff are not able to provide a high level of nursing care. You must need regular personal care or nursing to be eligible. There is a care team based onsite, who are available 24 hours a day and can provide a variety of residential care, nursing care, specialist dementia care and respite care. There are usually limited communal facilities and a communal garden. Each scheme has its own range of communal facilities, usually including a restaurant, hairdressing salon, library room or games room, as well as a communal garden. Communal facilities usually include a lounge, dining room and garden. There may be some level access at some schemes but others may have stepped access. There is level access throughout the building and gardens, and lifts to all floors. There is level access throughout the building and gardens, and lifts to all floors. There is a 24-hour telecare service, should you require support. There is a pull cord system in every apartment, and a pendant or wrist alarm available if required, which connects directly to the onsite care and support team. Pendant or wrist alarms are available if required, which connects directly to the onsite care team. You do not usually need to have a care or support need to be eligible, but you must meet any age and location eligibility criteria (often 55 or over). You may not need to have a care or support need to be eligible, but you must meet any age and location eligibility criteria. You may also need to be referred by the local authority. Eligibility varies and usually depends on your personal circumstances, such as your care needs, whether own your own home and whether you are being funded by the local authority or self-funding. Sanctuary Housing provides Housing for Older People services. View Sanctuary Retirement Living properties. View Sanctuary Care’s residential care and nursing homes. Please note that the above information is for guidance only. Choosing to move to a retirement community is a big decision. We also encourage you to discuss your housing options with your family and friends, and to seek independent advice, support and representation as appropriate. Organisations such as your local authority, Age UK, Citizens Advice or the Elderly Accommodation Counsel (EAC) can help. Read the latest stories from residents and staff alike across our retirement living properties. All our properties have 24 hour onsite care teams, providing a range of flexible care and support.